Posted on January 31, 2018 at 11:25 am. RACC staff are a talented and passionate lot – and we are here to support you! You can meet the entire staff on our website here, and we wanted to take some extra time to introduce you seven of our newest employees. Meet Mia, Jack, Eugenie, Yasmine, Sean, Humberto and Alisa! Special thanks to Intisar Abioto and Eugenie Jolivett Fontana for the photos. Mia has only been with us a few days now (!) and helps fill a vacancy when Sara Farrokhzadian became the Associate Development Officer for The Right Brain Initiative. In this temporary post, Mia will support strategies, planning and implementation of all fundraising activities, campaigns and special events for our arts integration program. She is also a paper and visual/installation artist working from her home studio in North Portland. 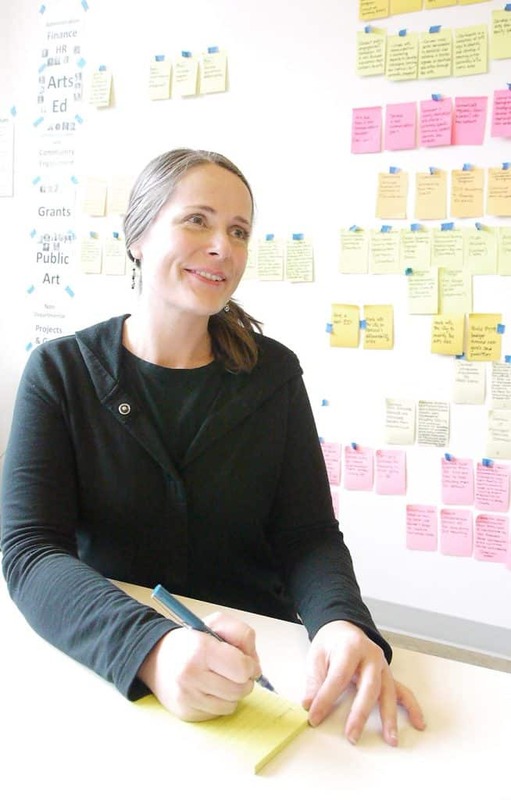 Her art practice varies from fine art to interactive public installations, and she has worked as both a teaching artist and administrator at the Museum of Children’s Art in Oakland, California. Welcome aboard, Mia! Jack is the very model of an exceptional executive assistant. He supports the board of directors and the executive director with grace and good humor. Originally from London, England, Jack moved to Portland in 2014 with his fiancé (now wife), Brooke. He studied History at the University of Sussex, and fell in love with the Pacific Northwest during a study abroad program at the University of Washington. He is actively involved in the Portland music scene, and we are all looking forward to his band’s next gig – The Hugs perform at Doug Fir Lounge on April 26. Jack also enjoys playing squash, performing music, and following the ailing fortunes of his favorite soccer team, the Blackburn Rovers. Eugenie is a creative soul, through and through. After receiving her BA in Theatre Arts from University of California, Irvine, she co-founded a creative interactive design studio – and her passion for design thinking and collaborative platforms continues to this day. 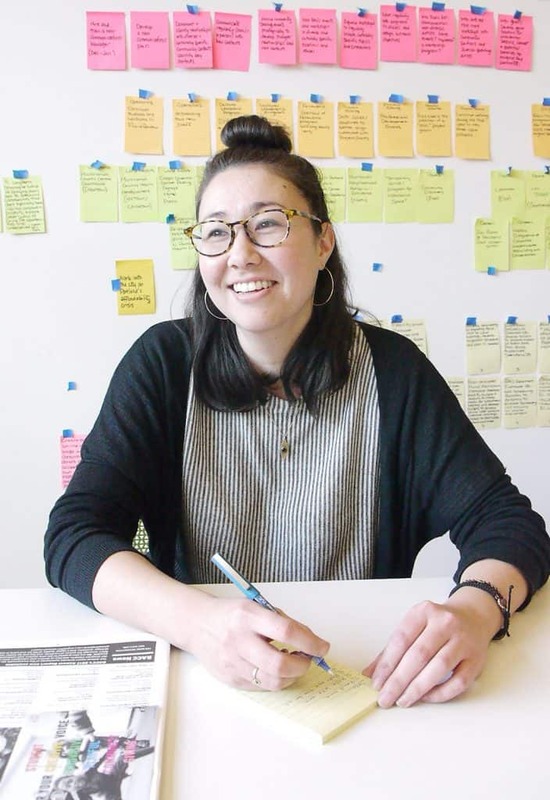 Having lived in Portland now for nine years, Eugenie is working to co-create a platform for POC and LGBTQ+ creatives called “w(HERE) we are,” and serves on the board of directors at AIGA Portland. As RACC’s digital communications specialist she straddles the communications and technology functions at RACC, overseeing RACC’s family of websites and other digital communications channels and strategies. Humberto became RACC’s new Community Engagement Coordinator in November, and doesn’t appear too daunted at all to be picking up where the irreplaceable Tonisha Toler left off. 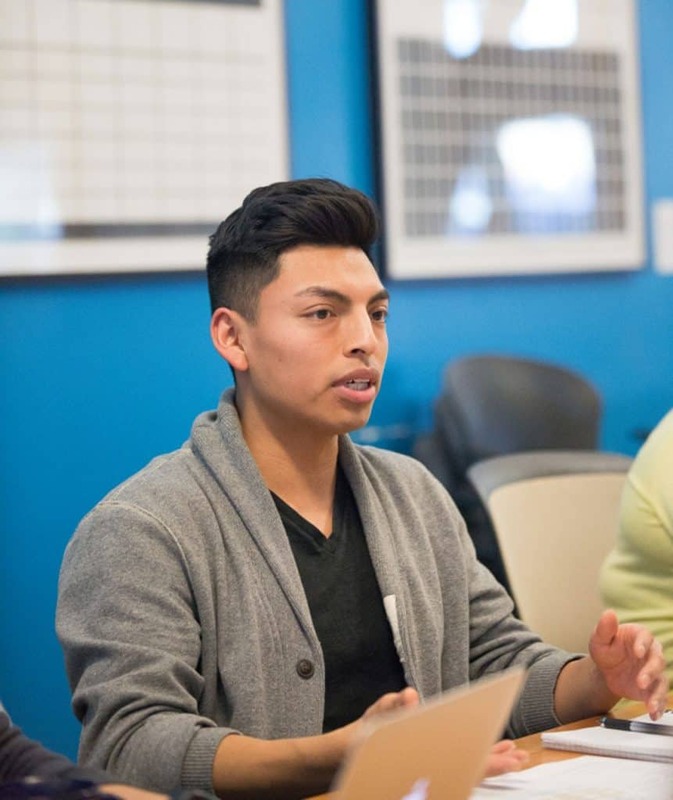 Humberto is quickly becoming the go-to guy for many people in our tri-county service area as he develops new strategies to increase access to RACC for marginalized communities. 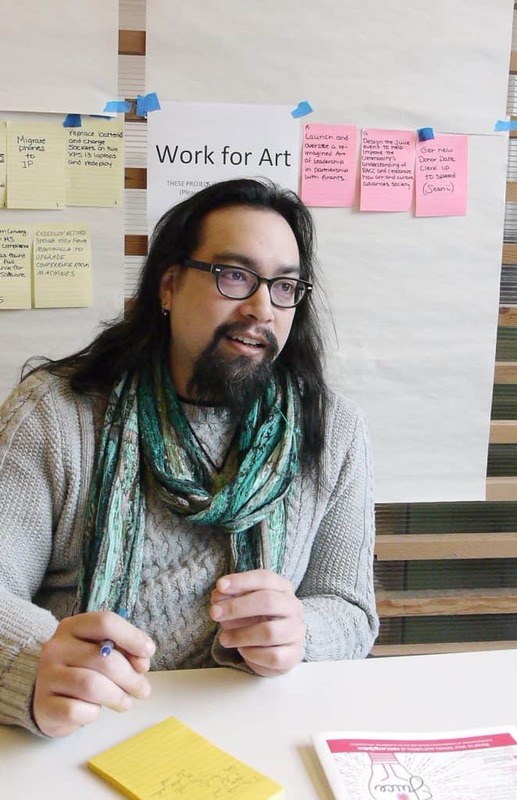 Humberto says that his commitment to social justice is rooted in his personal experiences and strengthened in his professional work with various non-profits, most notably Causa, the Immigrant and Refugee Community Organization (IRCO), Basic Rights Oregon, Impact NW and Latino Network. As RACC’s donor data clerk, Sean processes donor and donation information for Work for Art, and develops scripts/programs to improve operational efficiency. The team quickly elevated Sean to hero status for transforming time-consuming data processes into one click solutions. He has big dreams for helping other areas of RACC do the same. 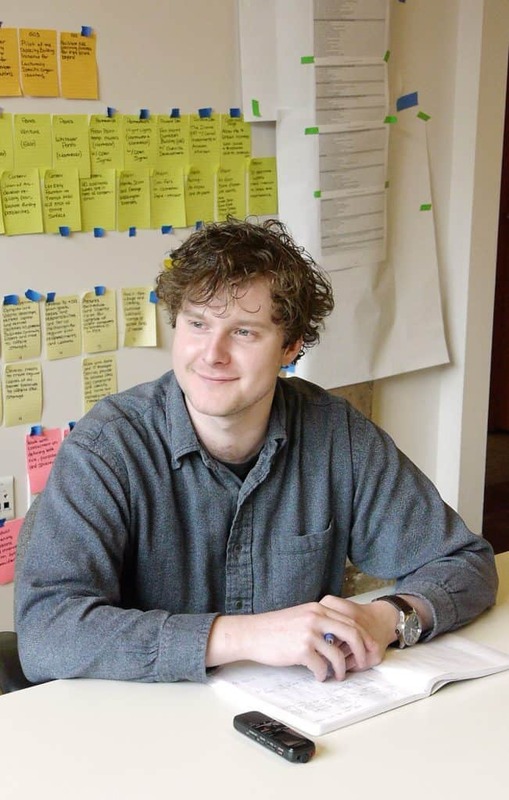 Born and raised in Ohio, Sean moved to Oregon in 2008 to pursue a career in software engineering. Nowadays he is finding ways to apply his engineering skills in other areas while pursuing his love of both origami tessellations and surrealist art under the umbrella of Studio Antipode, selling his work locally at the Portland Saturday Market since 2015. This school year marked Alisa’s transition from the school environment to RACC. 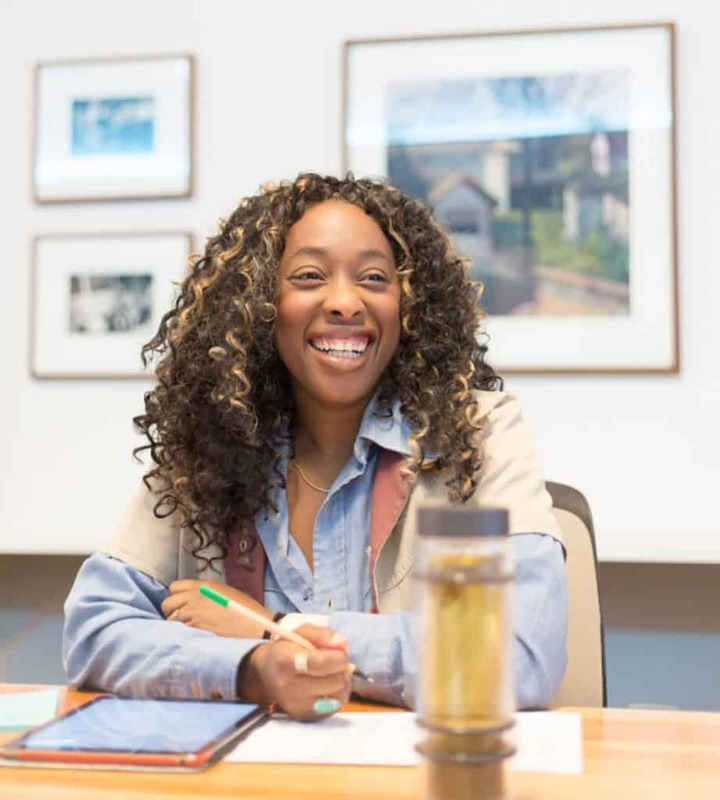 She brings expertise as an art and history teacher and instructional coach to her role supporting principals and classroom teachers on school-wide arts integration for The Right Brain Initiative. She also coordinates services for a network of AEAF arts specialists across multiple school districts. Alisa loves working with learners of all ages (K-12) as well as adults in public school and community arts settings. She draws inspiration from the environment and personal stories to create meaningful and collaborative arts experiences for all. In her spare time you’ll find her bicycling, sipping warm beverages, and venturing on road trips.